The car mechanic or DIY enthusiast of today requires diagnostic equipment to effectively work on modern cars. 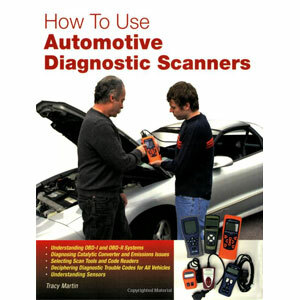 There are so many different types of diagnostic scanners on the market these days; from lightweight, hand held, dedicated units to software operated through your laptop or PC via the vehicle on board diagnostic port, this book is a wonderful guide for everything from choosing the right diagnostic tool to using the equipment correctly. Fully illustrated with photographs and diagrams, How to Use Automotive Diagnostic Scanners teaches you how to use your chosen diagnostic scanner and what each code means, it explains how OBD-I and OBD-II systems (including CAN) operate and includes a comprehensive list of codes and their meanings. This great instructional and reference book is well laid out and easy to understand, the perfect addition to any motor enthusiasts library.